This well-known, popular restaurant chain has been experiencing some great growth, and we need dedicated operators to join our team! We believe that you need to have a good quality of life to be a successful operator, and we do our best to provide that. Our ideal candidates will have experience in a full-service, preferably corporate restaurant, with exposure to Liquor, Beer, and Wine sales. A full understanding of financial tools is a must, as you will be responsible for your four walls. Exposure to systems and processes is ideal, and any safety and sanitation training is a plus. We offer above-average starting salaries, a great bonus, and full insurance. Please send your resume to start the road to your new career today! Recruiting is awesome! It enables me to stay close to the hospitality business (which I love), serving both my guests and clients. I enjoy that wonderful feeling of knowing you have provided excellent, above-and-beyond service. 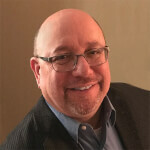 Larry Chesner joined Goodwin Recruiting in March of 2017. He grew up in New Jersey as a latch-key kid with two working parents and thus learned to cook at an early age. Larry went on to attend Johnson and Wales College in Providence, RI. He earned an Associate’s degree in Culinary Arts and a Bachelor’s degree of Science in Food Service Administration. Much of Larry’s career was with Interstate Hotels, where he started in F&B, then migrated to rooms operations and General Manager. He helped open several properties during his tenure and worked in Boston, MA; Providence, RI; Corpus Christi, TX; Cincinnati, OH; Philadelphia, PA and Grand Rapids, MI. This included several brands like Marriott, Hilton, Holiday Inn, Wyndham, and independents. Larry also worked for Wyndham Corporation, Lane Hospitality, and National Hospitality Services as an Operations Manager and General Manager.